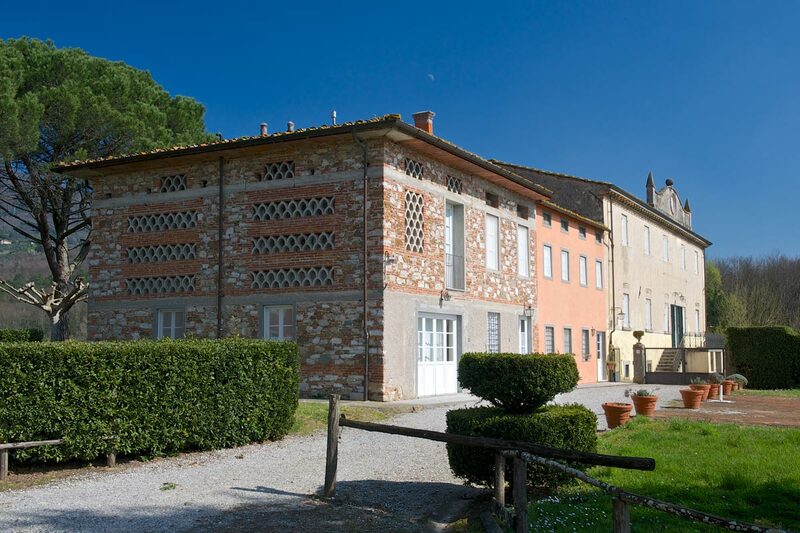 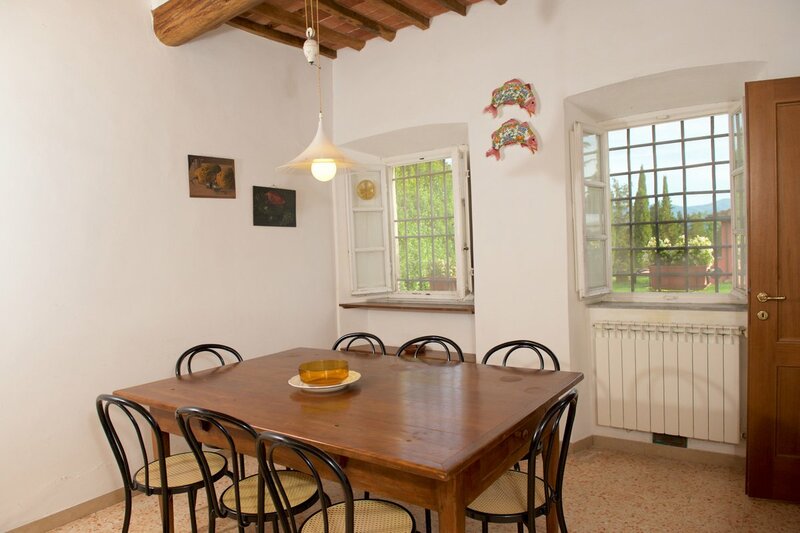 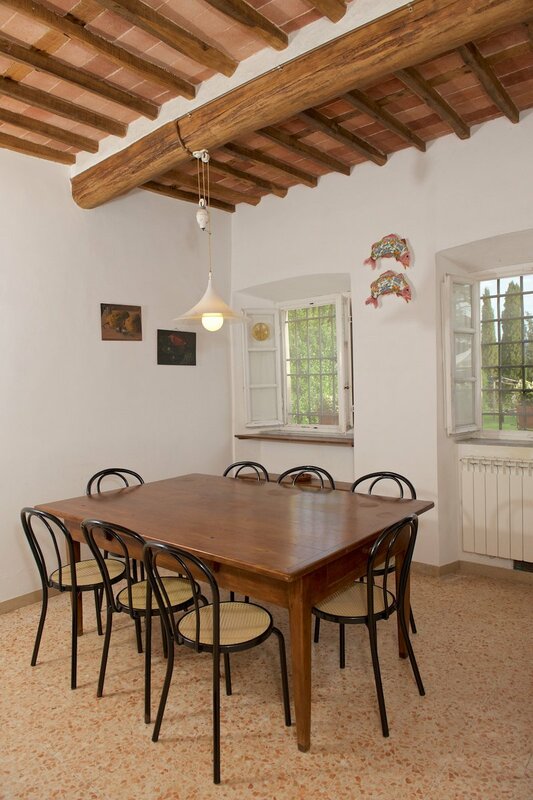 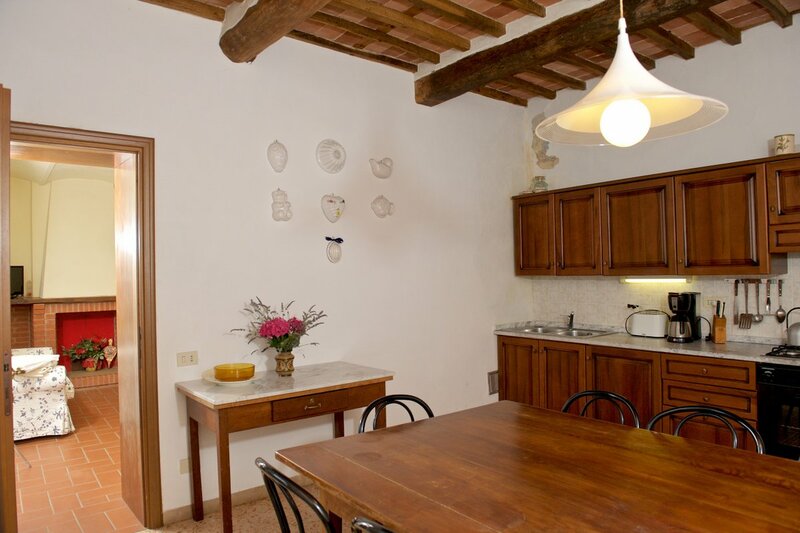 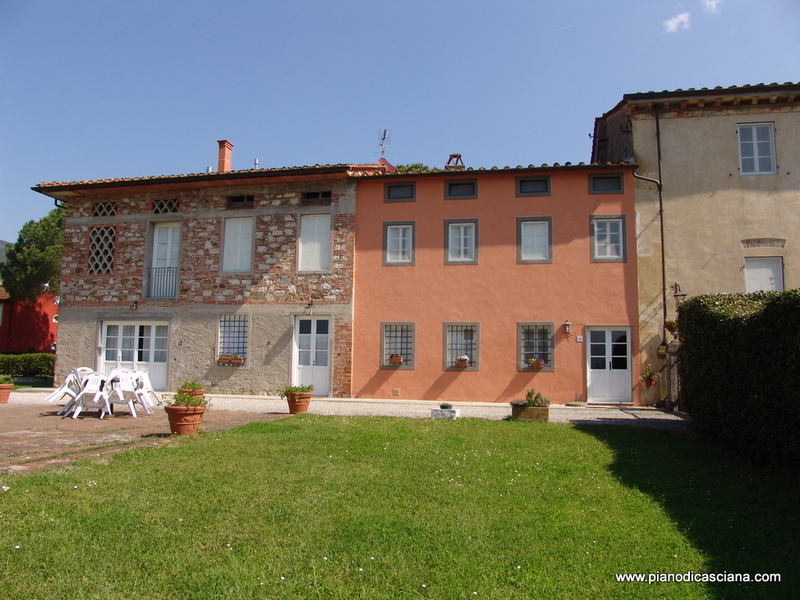 This two-floor apartment was restored from the hayloft of the original farmhouse. 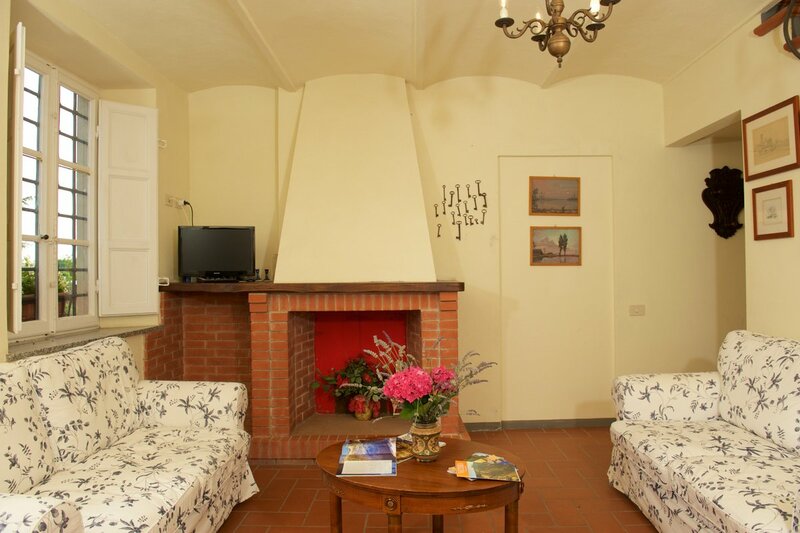 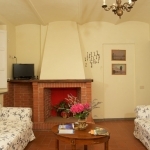 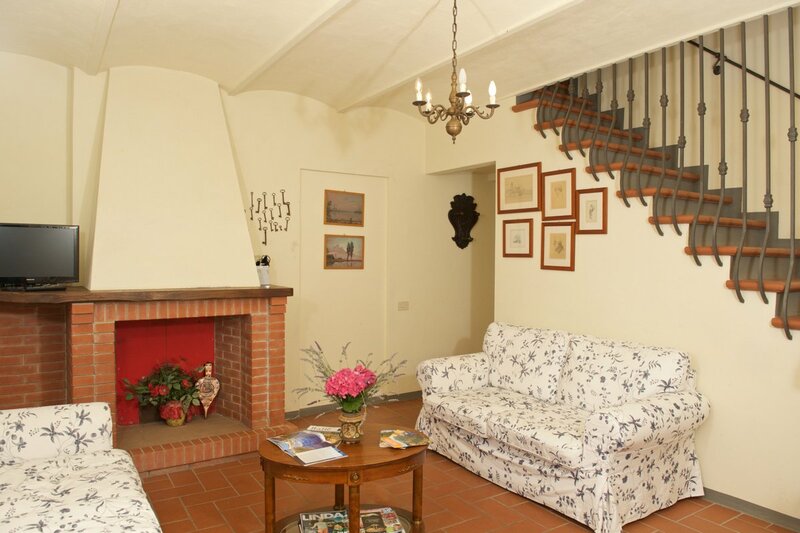 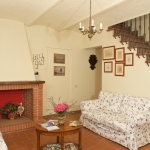 At the ground floor entrance there is a living room with a fireplace and comfortable sofas. 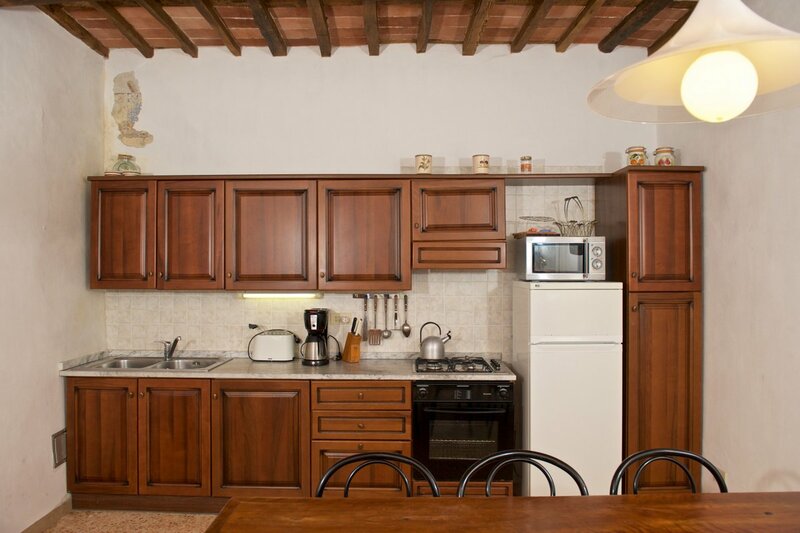 On this same floor there is a well-equipped kitchen containing: marble countertops, fridge/freezer, electric oven, 4-burner gas stove, dishwasher, microwave, kitchenware, silverware. 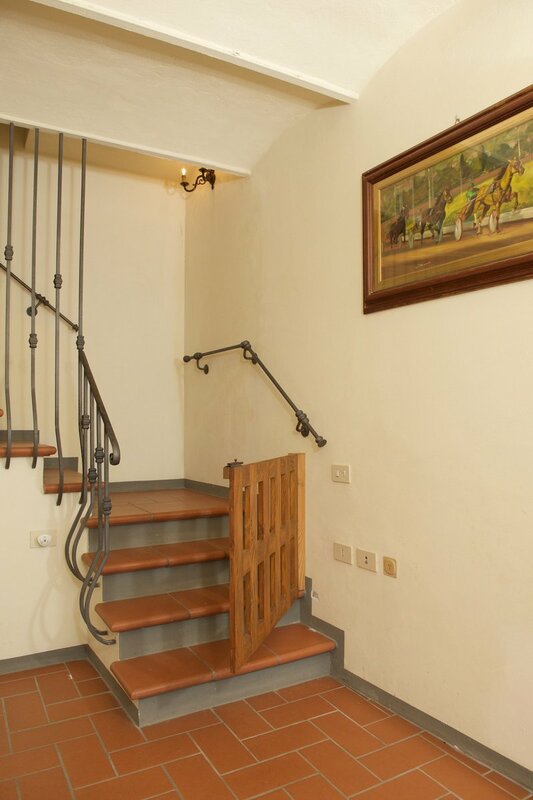 An internal staircase leads to the first floor where there are four bedrooms (can be ether double or twin bedded), each with its own en-suite bathroom. 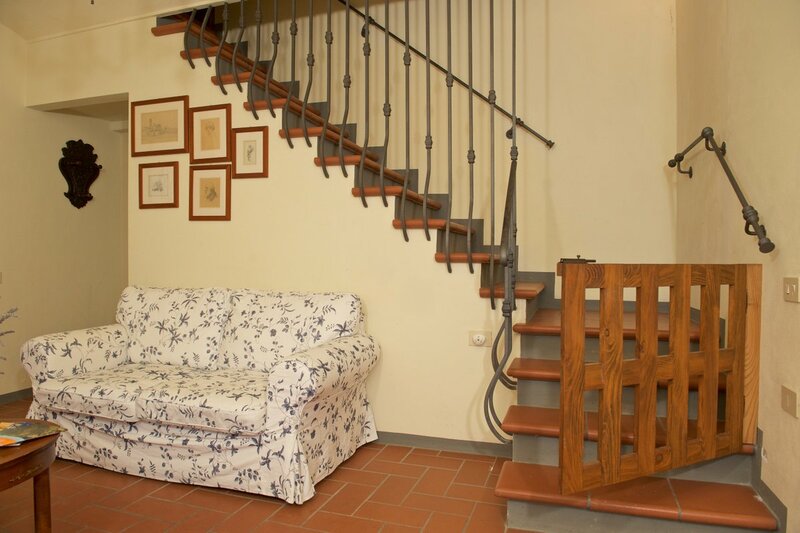 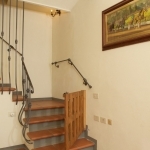 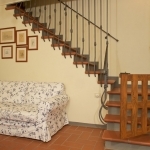 There is a small wooden fence at the top and bottom of the stairs for the safety of any young guests. 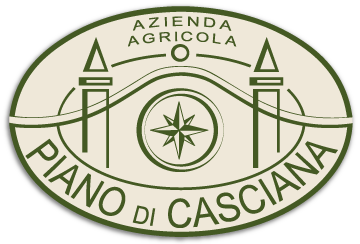 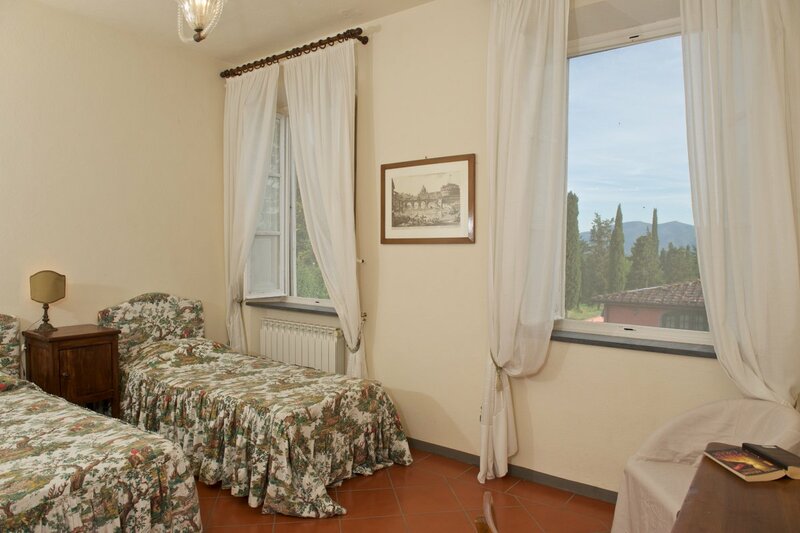 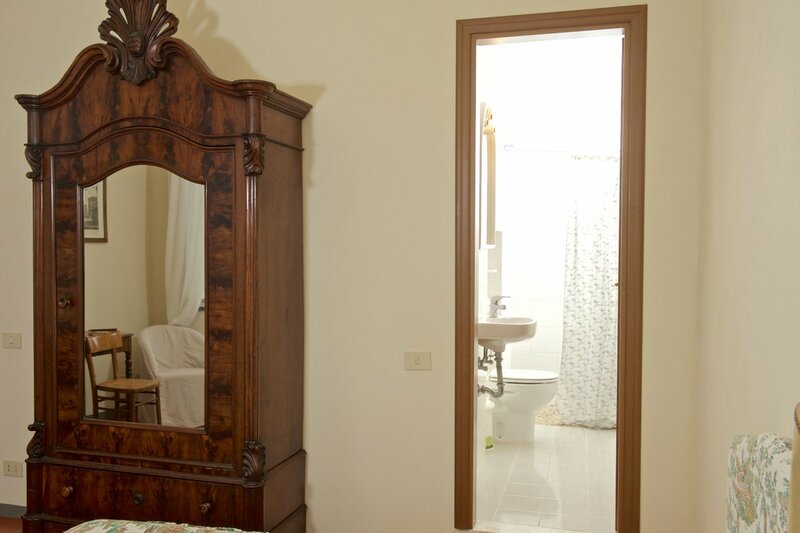 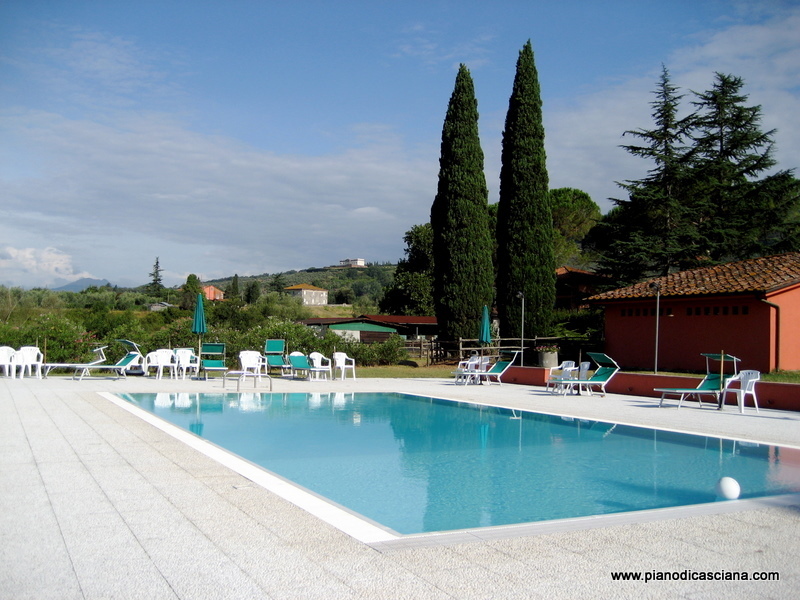 All of the furniture and fabrics are carefully chosen to preserve the ambiance of Tuscany. 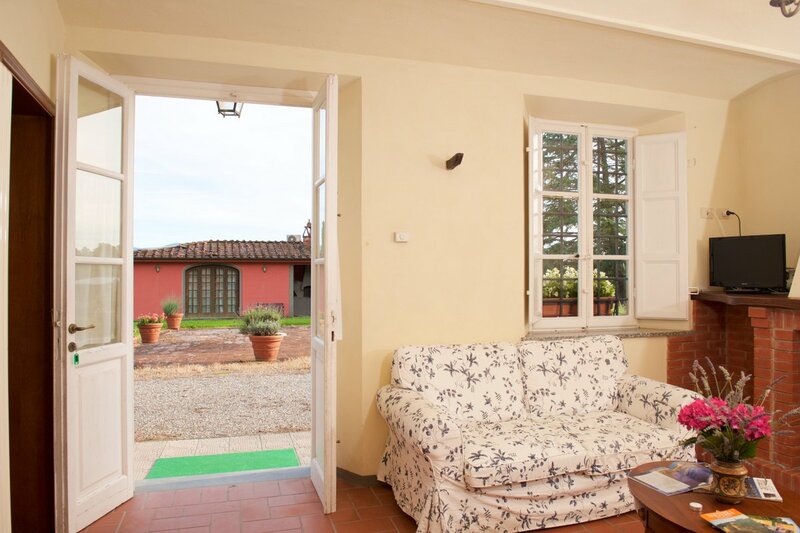 Outside the apartment is the farmyard, where olives, grapes and cereals were originally dried, with garden furniture: umbrella, table and chairs. 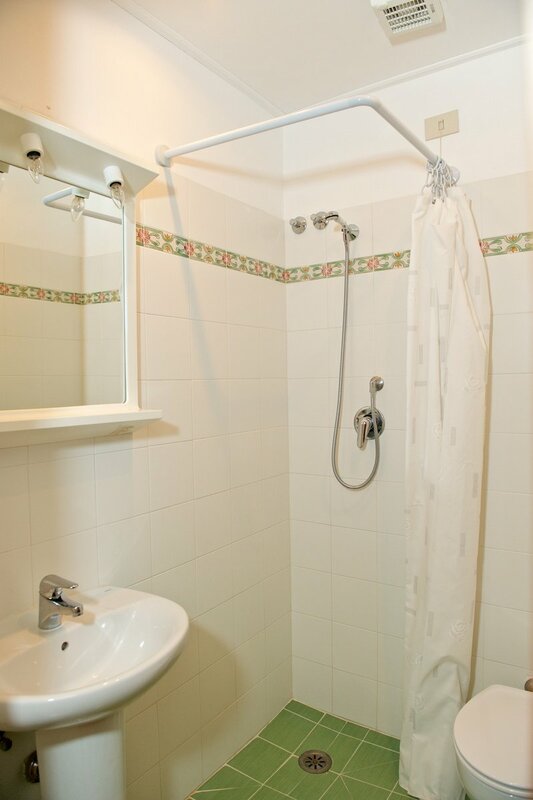 The shared amenities are just five meters away from the area. 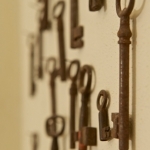 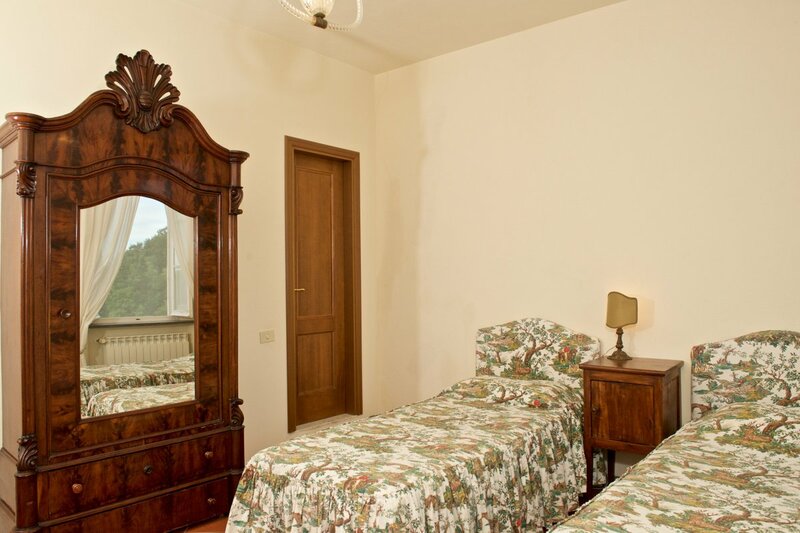 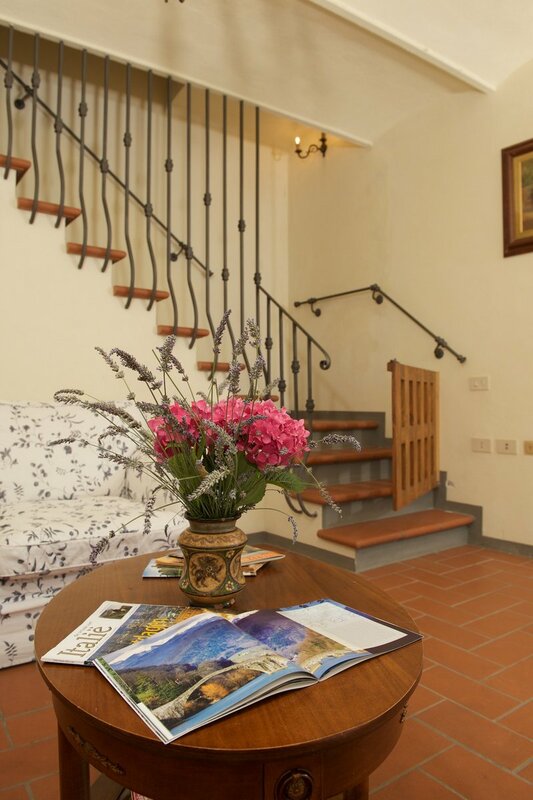 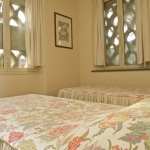 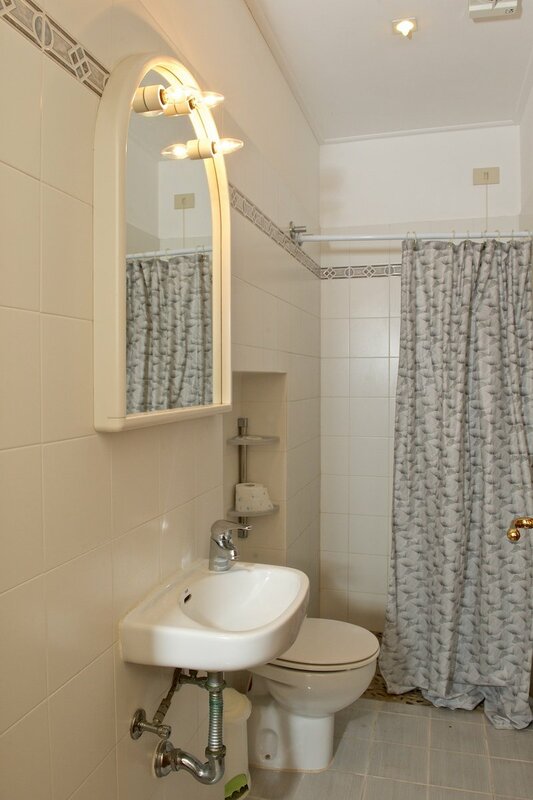 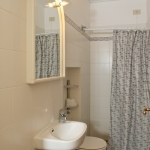 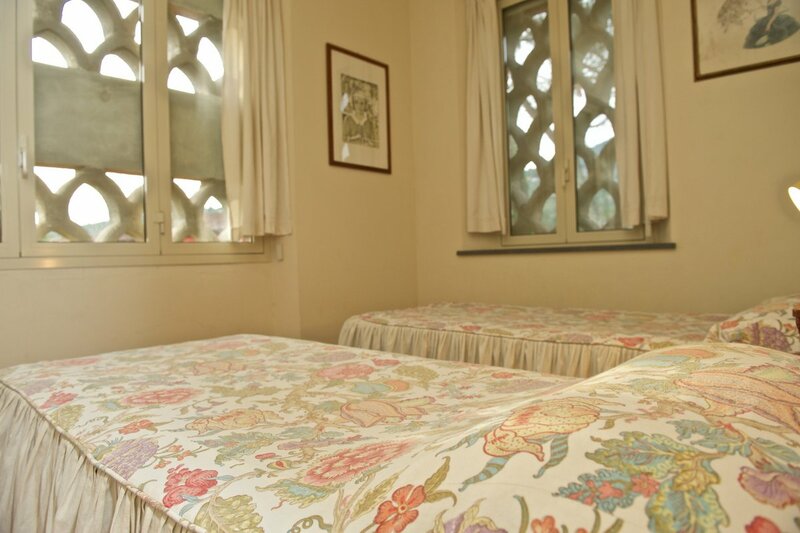 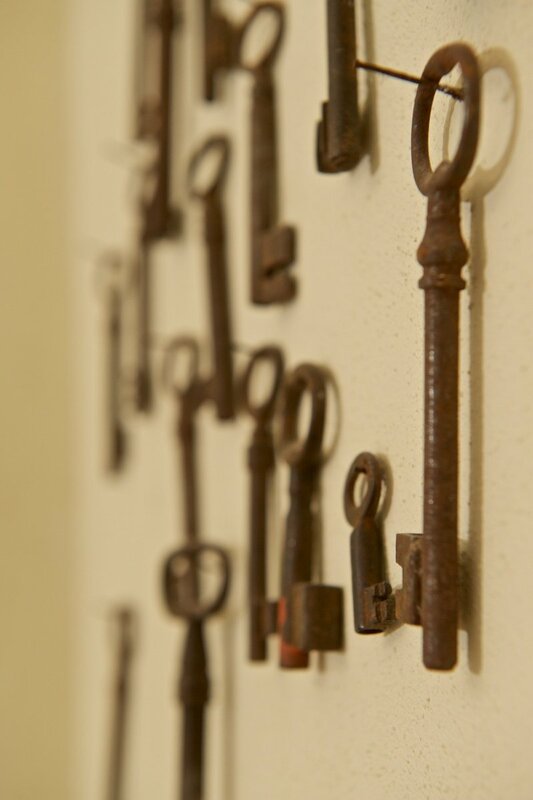 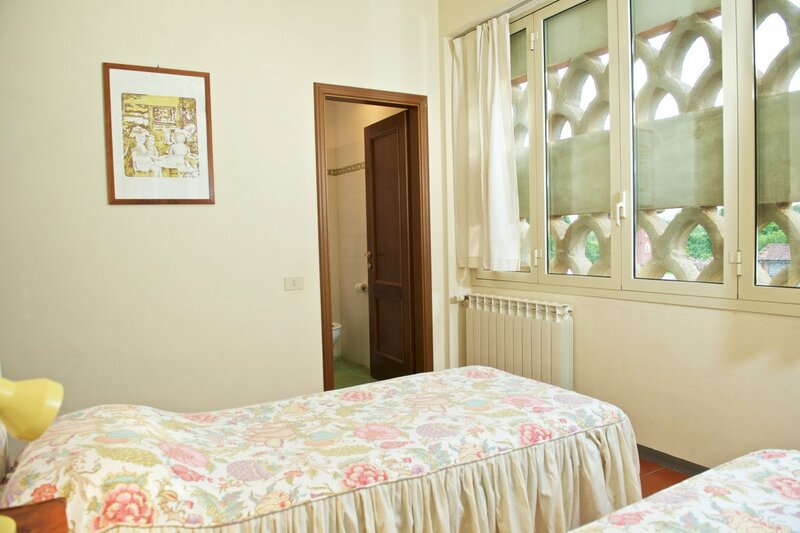 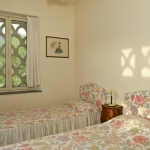 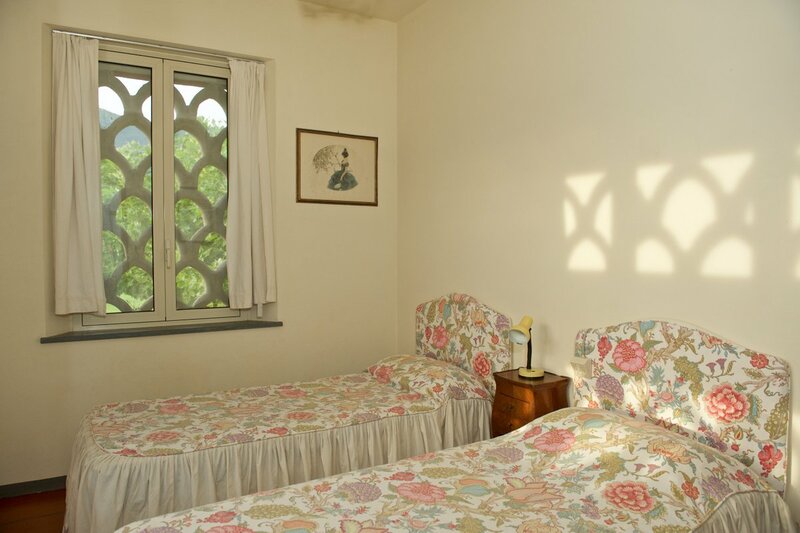 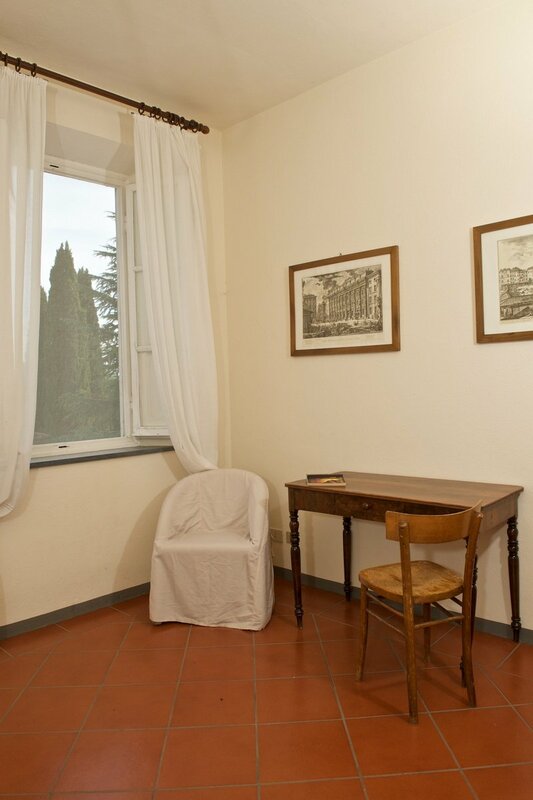 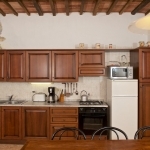 The apartment has an independent central heating unit and both satellite TV and free WiFi are provided.